We can’t prevent aging – but we can age beautifully with a well-contoured, youthful face. Facial aging shows up as fine lines, wrinkles, nasolabial folds, marionette lines and more become visible. Genetics, lifestyle, illness and other factors determine how we will age and at what rate this will occur. Fortunately, there are many advanced options today for turning-back the clock. Liquid-Lifts – using today’s amazing injectables – are some of today’s most popular anti-aging treatments and can take years off the face instantly. Radiesse is safe, effective, proven and one of Dr. Yeh’s trusted and favorite injectables for a serious lunch-hour makeover. Radiesse is a dermal injectable formula that works with your body to stimulate new collagen production – while providing volume replacement for greater than one year. Dr. Yeh uses it to correct lines, wrinkles and folds in areas of facial fat loss, such as nasolabial folds, marionette lines, the jawline and cheeks. Radiesse is bio-compatible so no skin testing is required. Radiesse consistently delivers such a high rate of satisfaction that clients repeat treatments – without hesitation. Men and women of all ages who want to look years younger without having surgery – and who are in otherwise good health – could be ideal candidates for Radiesse age-erasing treatments. During your consultation, Dr. Yeh will be able to determine if Radiesse is appropriate for your specific needs. Radiesse is injected into pre-targeted areas using a small needle. Dr. Yeh is highly trained in all injectable procedures and uses specialized techniques to minimize discomfort and bruising. Treatments typically take between 15 – 30 minutes. A little swelling and bruising is normal but resolves in a couple of days. Results are immediate as the Radiesse replaces lost volume and longer term results are seen as your body is stimulated to produce more collagen. Surgery is serious business – many times it is life changing. Choosing a facial plastic surgeon who is qualified and able to achieve the right outcome is critical. 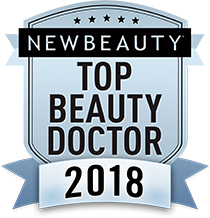 Dr. Yeh is a fellowship trained Facial Plastic Surgeon and board certified which means he has many extra years of surgical and reconstructive training and experience, vast knowledge, meticulously honed skills and expertise beyond the norm. He has focused on and is specialized in all procedures of the head and neck. This does not guarantee a certain outcome – but can ensure you that he is a skilled expert and highly qualified to perform your chosen procedure.